Rumor: iPad 2 to have a flat back and wide-range speaker? In July, we ran a piece on what changes Apple should make to the iPad 2 and it looks like the company listened. 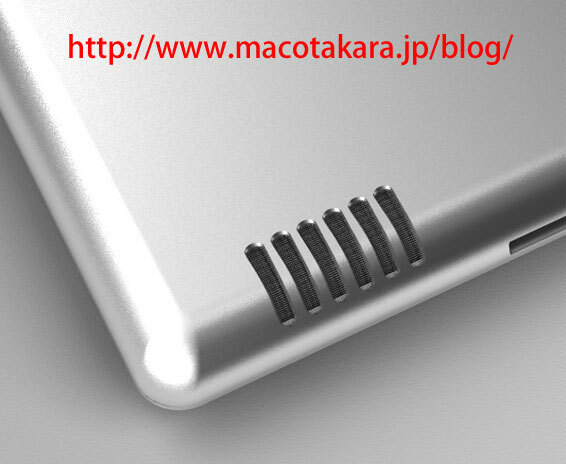 Japanese blog MacOtakara (via AppleInsider) has uncovered some rumored specs and a render for the second generation iPad. While these are unverified, at best, the changes appear to make sense. Most notably, they contend that the next iPad will have the same 9.7 inch screen as the original, but its back will be “flat like an iPod Touch.” In addition, the lower right of the unit has a “wide-range speaker” and the unit may have two cameras, one front-facing. These changes seem to correct most of the criticisms of the first iPad. Some complain that the round back isn’t practical for use on a hard surface. Also, get out those rulers because the new iPad will measure 239 mm by 186 mm, a reduction of about 3 mm from the current iPad (242.8 x 189.7). More interesting, the unit may ship in January or February, according to whoever leaked the info. This info is odd, since Apple usually sticks to its guns and releases sequel products about once every 12 months. The iPad debuted in April, 2010.
iPad owners: what do you think of the proposed changes or release date?